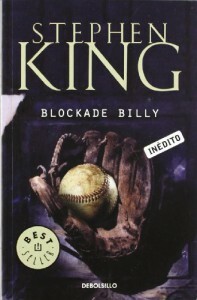 Blockade Billy is a little book that contains two short (and really crappy) stories by King. Where do I start with this book? both stories were really lame in my opinion but in short, don't buy this because both stories will be included in the upcoming collection [b:The Bazaar of Bad Dreams|23512999|The Bazaar of Bad Dreams|Stephen King|https://d.gr-assets.com/books/1432324418s/23512999.jpg|43116154]. The only reason I would recommend buying this book is if you are a collector, otherwise AVOID IT. 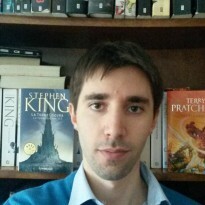 I'll write a review of both short stories when [b:The Bazaar of Bad Dreams|23512999|The Bazaar of Bad Dreams|Stephen King|https://d.gr-assets.com/books/1432324418s/23512999.jpg|43116154] is published.